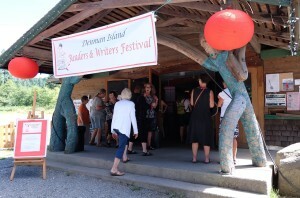 Every July, Denman Island hosts a busy and festive literary weekend. The Denman Island Readers and Writers Festival is poised to launch its 14th festival in 2016 with a line-up of 10 Canadian writers who include Bruce Cockburn (who will read from his memoir Rumours of Glory) and Miriam Toews, whose novels A Complicated Kindness and All My Puny Sorrows – among others – have reviewers putting her in a class with Margaret Atwood and Alice Munro. The festival brings both well-known and emerging writers to an intimate event located in the heart of “downtown Denman”. 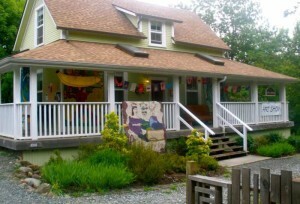 It attracts writers from throughout British Columbia and Canada. Past participants have included Scotiabank Giller Prize winner Esi Edugyan (Half Blood Blues); current Giller nominee Anakana Schofield (Martin John); Canada’s Parliamentary Poet Laureate Fred Wah; best-selling novelist Michael Crummey (Sweetland), and spoken word poet/performer Siling Zhang – to name just a few. 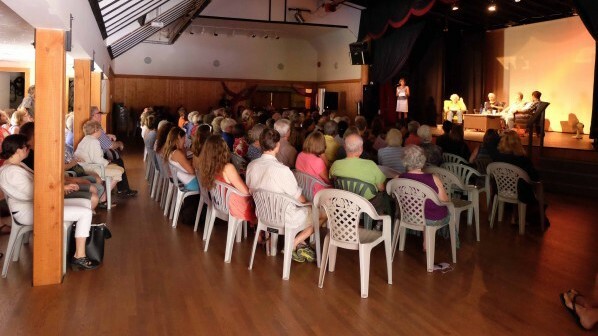 Large and enthusiastic audiences attend readings, panel discussions and writing workshops. Events take place in several venues in the centre of the Denman Island village, giving the community a celebratory air. Attendees in the past have been greeted by Miss-Spelled (aka U.S.-based actress Jori Phillips, whose parents live on Denman Island). She became an internet and media hit for her homemade gown created from the pages of a thesaurus. Festival participants have also been serenaded by local musicians, performing from the porch of the Denman Island General Store. This is also the site for readings from the store’s own Poet Laureate, a role filled by local poet and performance artist Jennifer Lee. It’s all very light-hearted and lively, though Daryl McLoughlin – who describes himself as the Denman Island General Store’s Manager-Postmaster-Propane Tank Filler-Chief Economist – says there’s a serious reason why he and so many other islanders support the festival. The Denman Island Readers and Writers Festival supports local writing talent by hosting two festival sessions where Denman writers read from their own works. These sessions feature humorous, thoughtful and creative selections of both prose and poetry. Who knows what future powerhouses will be discovered at these readings? After all, former resident Emily St. John Mandel is the author of the best-selling dystopian masterpiece “Station Eleven.” The trademark humour of long-time resident and garden guru Des Kennedy is showcased in many popular works of both fiction and non-fiction, the latest being Heart and Soil. Aspiring and published writers can hone their craft at a series of workshops or in the five-day Writing Workshop. For the latter, sessions take place over five mornings, with time in the afternoons to write and to read the work of other program participants. 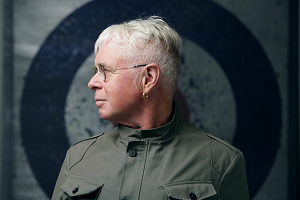 By popular demand, poet, novelist and University of Victoria creative writing instructor Steven Price will be back in 2016 to lead the Writing Workshop for a third year. This program usually sells out, so interested writers should register early. The Denman Island Readers and Writers Festival also offers up to six festival weekend bursaries to Comox Valley high school students. The bursaries have been named the Zaccheus Jackson Student Bursaries to honour the work with young people carried out by spoken word poet/performer Zaccheus Jackson. Zaccheus was killed in an accident after he appeared at the 2014 festival. His animated, rapid-fire presentation included poems that helped audience members empathize with people who’ve fallen into a desperate way of life. And really, that is what the Denman Island Readers and Writers Festival is all about.